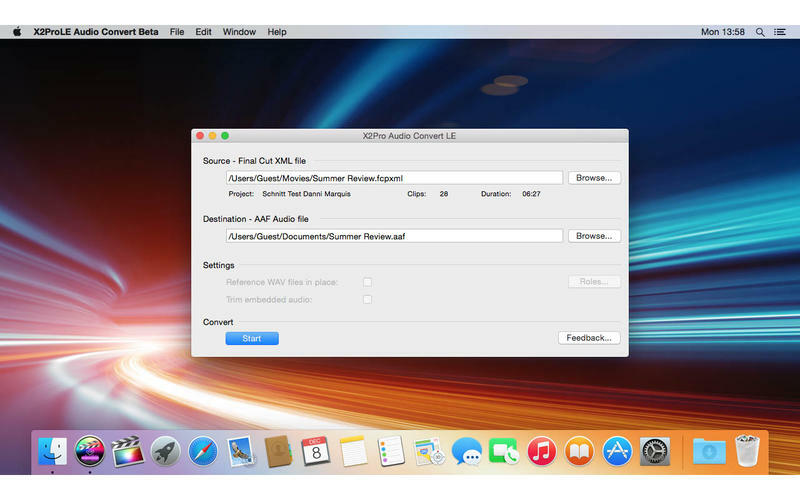 X2ProLE Audio Convert integrates Final Cut Pro X into the professional audio workflow. It easily moves audio projects to Avid Pro Tools via AAF with embedded audio media. X2ProLE converts an FCP X XML into an AAF file which Avid Pro Tools can open as a session, delivering seamless integration between the two applications. 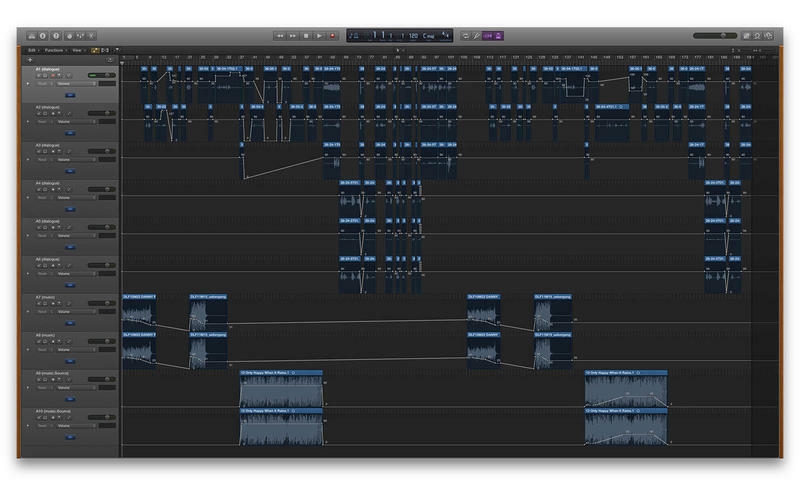 X2Pro faithfully translates your audio timeline along with L-cuts, J-cuts, transitions, levels, automatic gain and fade handles, as well as the incredibly powerful FCP X compound clips. Transitions are converted into linear cross fades. Audio media can be any QuickTime supported audio, non-PCM audio is converted to PCM at either 16 or 24 bit. Multicam Clips are effectively translated taking across the audio of the selected angle. 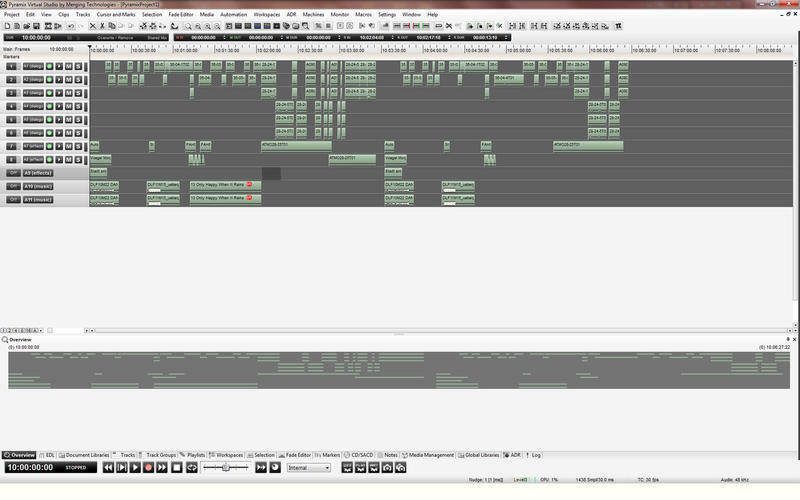 Auditions must be finalized first before exporting the XML to X2Pro. X2Pro gives a clear warning when it comes across elements of a sequence which it does not translate such as time maps and effects. We recommend rendering an off-line or proxy version of the flattened video and exporting that if a reference is needed within Pro Tools. Only audio media is translated by X2Pro. X2Pro Audio Convert is a cutting edge conversion application for delivering FCP X projects for audio finishing. Since X2ProLE utilised Apple QuickTime under the hood, it is subject to the same licence restrictions as QuickTime Player X. For example, Dolby Digital AC-3 audio (found in some consumer camcorder footage) cannot be played by QuickTime Player X, although FCP X will import and play this media. In this case, the media will need to be converted to LPCM audio on import into FCP X. • Inclusion of latest R3D SDK (v5.2) to allow support of current R3D devices. 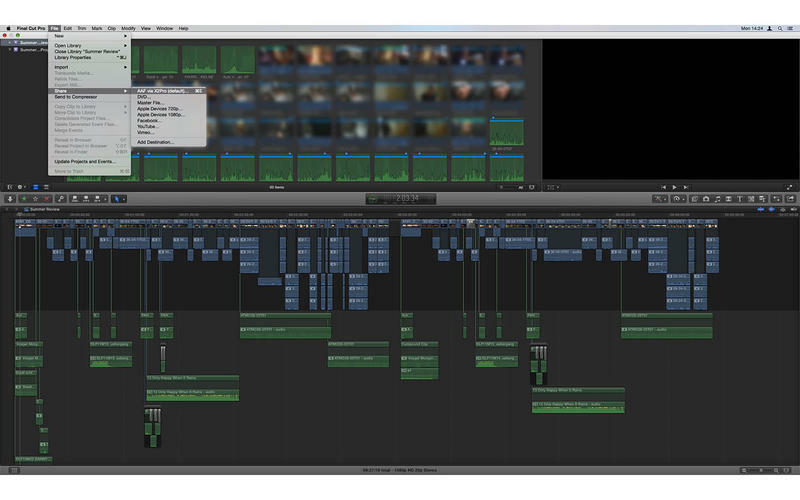 • Implemented scripting support which allows FCP X to share straight to X2Pro. • Improvements to the Media Location page of Preferences (links directly to help on web, better display of paths). • Changed default behaviour of a fresh installation to embed media rather than generate an error when requesting an AAF which references media (this will not affect users who upgrade – existing settings are maintained). • Added feedback button to allow users to get in touch more easily.